One of the biggest, most-awaited sale is finally happening again! 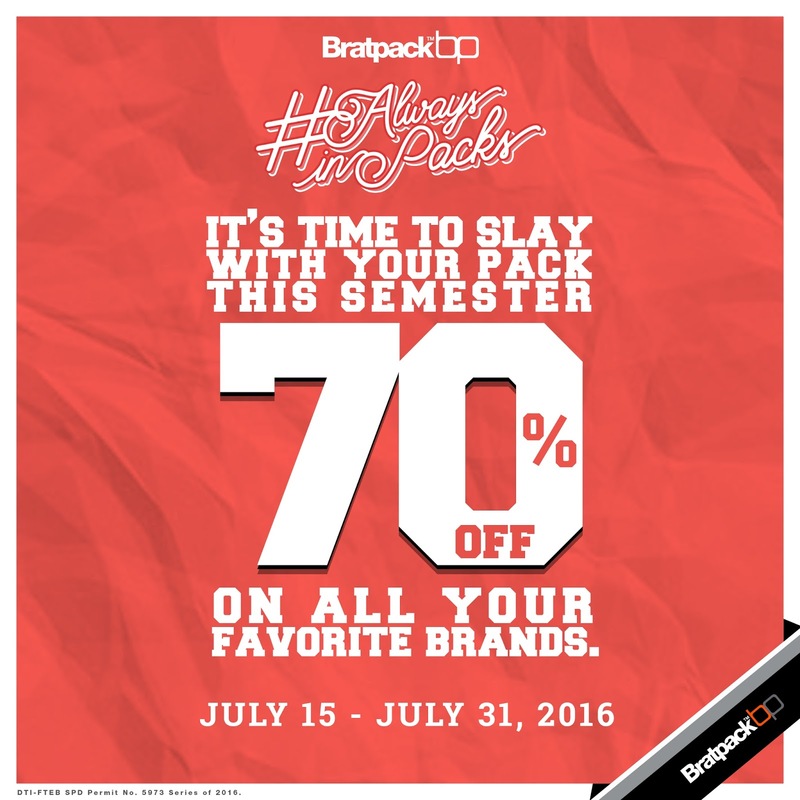 Drop by Bratpack One Archers Place and Bratpack Eastwood starting July 15 until July 31 with your pack and snag all those ‪#‎AlwaysInPacks and #‎PackGoal essentials at up to 70% off. Hurry!